1. I started the week with some baking. My first bake was a roasted tomato, onion & broccoli quiche. It was delicious! 2. Followed by a carrot cake which was my breakfast for the nest few days. 3. 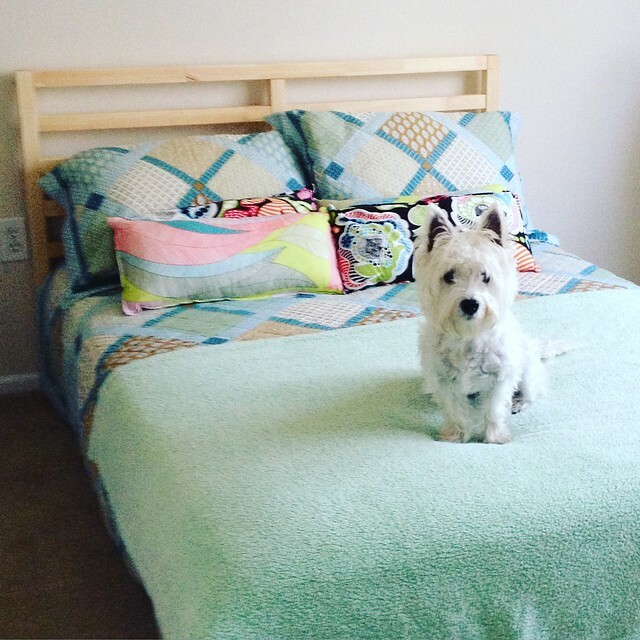 We stayed in to accept a furniture delivery…the bed for our spare bedroom. Maisy approved. 4. All the squirrels seem to come out when we are on our morning walk. 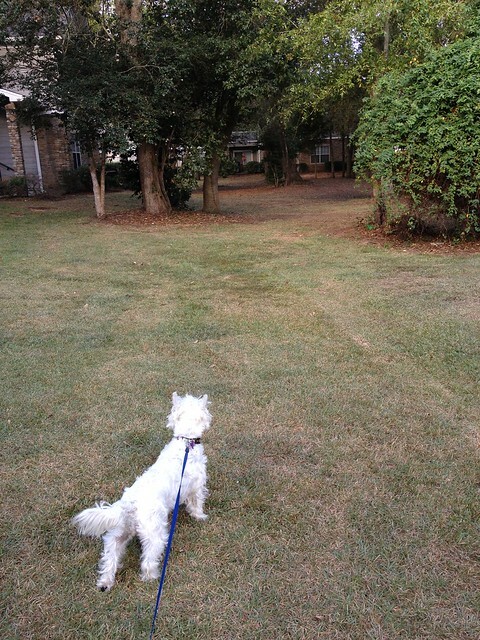 Maisy loves to have a stand-off with any squirrel she can see. I swear they are tormenting her! 5. Halloween decs were dug out; including dog costumes that were sent over as they were too small for Winnie dog. Perfect for Maisy, even if they do send her into a huge sulk! 6. 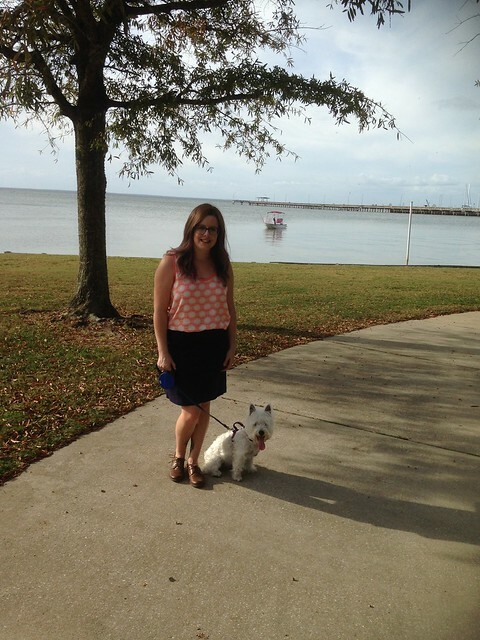 I had my hair done – the blonde is gone! What a beautiful picture of you! Glad Maisy likes her new bed 😉 Tell her I wouldn’t want to wear that Halloween costume either. 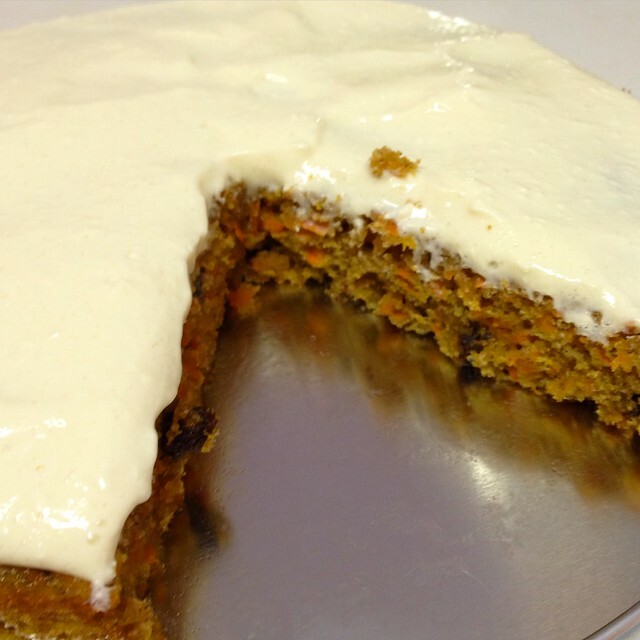 YUM carrot cake! 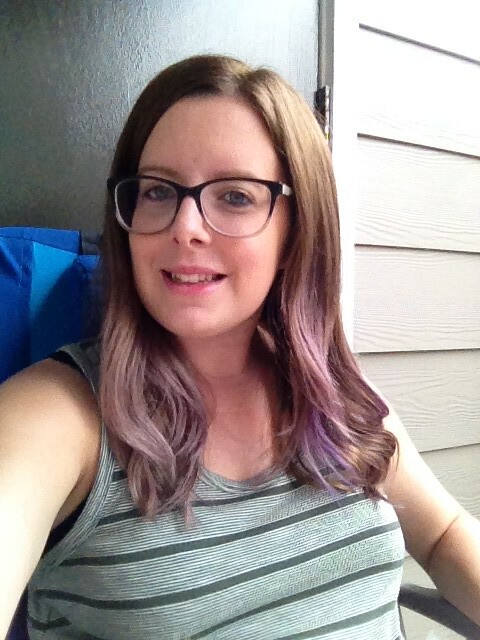 Love the hair! And cool bed! Love your hair colour and that cooking looks really tasty. Maisy on the bed is a lovely picture. 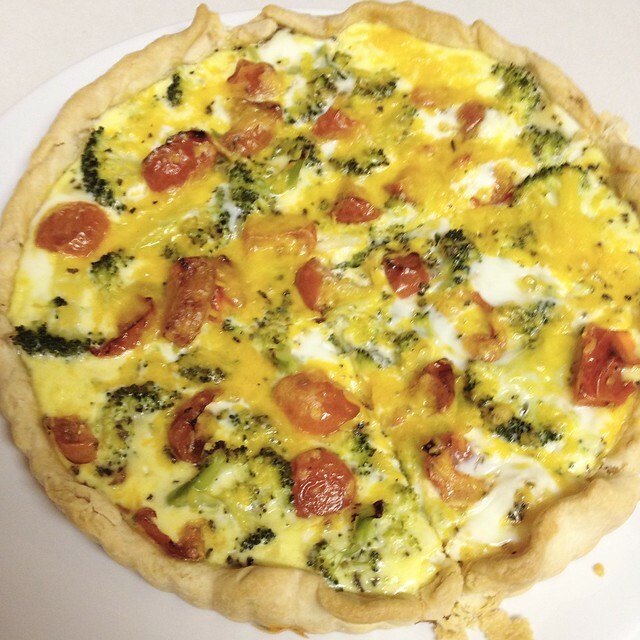 Gorgeous home cooking – the quiche looks lovely. Did Adam approve? The bedding on your spare bed is beautiful – it looks very fresh and welcoming ready for your guests next month. 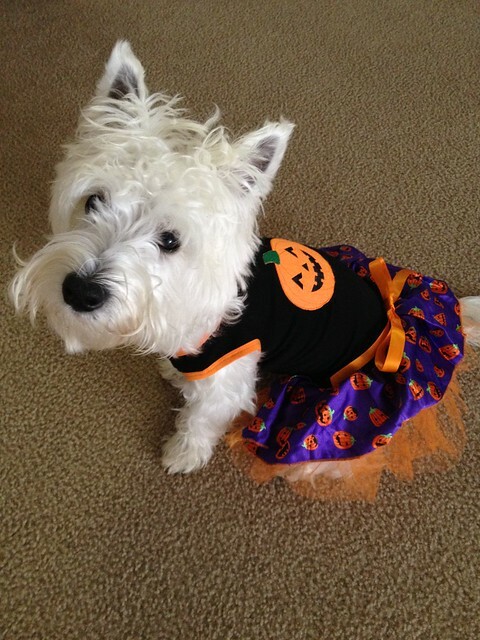 Maisy looks adorable as always, especially in her Halloween costume! Will you be decorating the apartment ready for trick or treaters?